Jan. 21-45 Mr. Dave Elder Dear Sir. I am writing you for my son. he ask me to write and thank you for sending the Washington Journal also will you please write him often he wont be able to write you but will be glad to hear from you. he can only write two letters a week and only to members of his family but is allowed to received all mail sent to him I want to all I can to help him and I know encouraging letters from his friends will help. 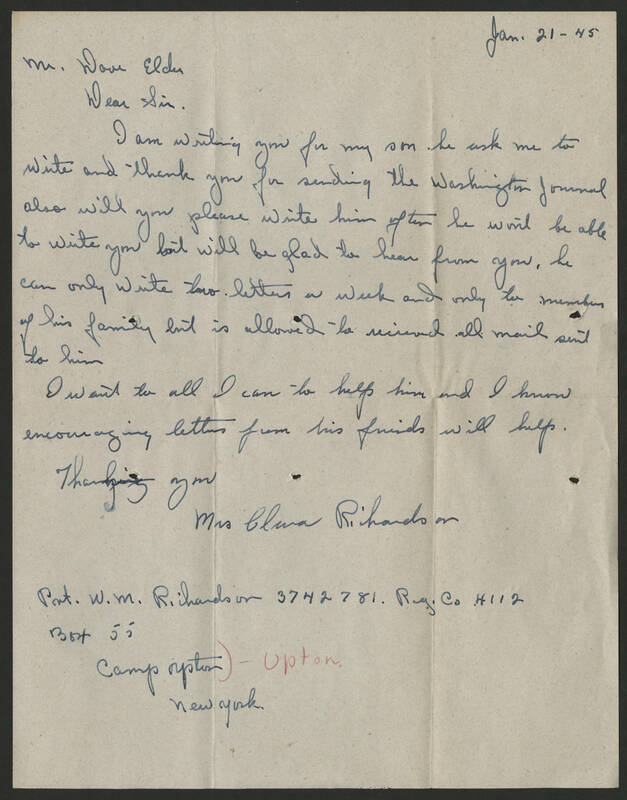 Thanking you Mrs Clara Richardson Pvt. W. M. Richardson 3742781. Reg. Co 4112 Box 55 Camp Upton New York.